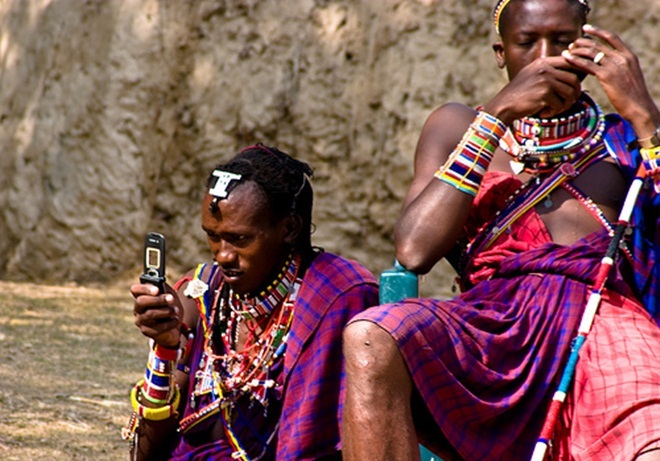 Africa is being tipped to pass one billion mobile subscriptions to become the world’s second largest mobile market by 2016 according to new research from analyst firm Informa. Mobile activations in the continent, which currently stand at 616 million, are estimated to grow by more than 60 percent over the next five years making the region the world’s second largest telecom market behind only Asia. Informa explains that the development of the region’s “relatively immature telecoms market” — thanks to increased competition and lower costs — combined with the continued growth of Africa’s population are the primary reasons for its growth predictions. The use of 3G is also tipped to rise at a strong rate from 6.6 percent of Africa’s total mobile subscribers today to 46 percent by the end-2016 . However, as the research notes, Africa is a continent with its own unique factors and the popularity of dual-SIM devices leaves Informa predicting that, despite 1 billion mobile subscriptions, Africa could have as few as 572.35 million mobile phone owners by the end of 2016. That’s not far from two subscriptions for every one user. Nigeria will continue to be Africa’s biggest mobile market by subscriptions, with a forecasted 152.09 million subscriptions at end-2016. Egypt will hold onto its position as Africa’s second-biggest mobile market, with a forecasted 118.03 million subscriptions at end-2016. South Africa, the continent’s third largest mobile market, will have 80.56 million mobile subscriptions at end-2016. Africa reached one billion people in 2009 and the projections — if correct — would leave the continent with a mobile penetration rate of 87 percent by 2016, the lowest anywhere in the world. Within that number it remains to be seen just how many of these devices would be Internet-enabled, a statistic that this Informa research doesn’t cover. In a continent were broadband remains an alien concept and mobile is expected to become the dominant platform to access the Internet, Informa’s predictions — impressive in number alone — are likely to leave a lot of Africa still without access to the Internet.